The ultimate, easy, and vegan solution to your acne-prone skin. I adore it. You might too! Let’s get to it! Okay, let me begin by saying that this mask contains only four ingredients, but it’s incredibly powerful. It’s also very basic. If you’re looking for more diverse/complex recipes, have a look at my collection of best bentonite clay recipes here. Anyway, this magic ingredient is what I have sworn by for years. Decades, even! Bentonite clay has saved my skin, my health, and even my hair on various occasions at different stages in my life. It’s a love that’s never-ending. I have written about clay before, I will write about it soon enough again. For those of you with problematic faces, make sure to see this post on the basics of bentonite clay for acne and oily skin. It’s a bit more detailed and you can find my clay recommendations there as well. Do clay masks help with acne? How long do you keep the Aztec clay on your face? How often should you use a face mask for acne? What homemade face mask is best for acne? Can I use clay mask on dry skin? And ridiculously easy DIY all natural. It’s an SOS in dark times when you’ve run of ideas or other options. Okay, there is something I’m not particularly keen on this bentonite clay face mask: the lavender essential oil. It’s powerful and can be irritating to the eyes. You can substitute it with lavender hydrosol instead. See the recipe for recommendations! Apart from powerful lavender (as it should be in order to kill the hateful bacteria), all the ingredients are a must. They complement each other perfectly and make an excellent DIY anti-acne concoction! Whether you want to omit or change the ingredients, you’ll consequently change the sole purpose of the recipe. Apart from the lavender oil/hydrosol substitution, I’d recommend no other changes. Yes, this clay face mask doesn’t smell too prettily (I’m not a fan of tea tree), but that’s not what it’s here for anyway. It’s here with the purpose to destroy the bacteria. To bring life back to your pretty face. And to banish the invading acne once and for all! 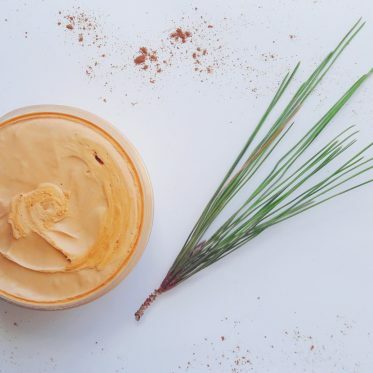 With regular use, this DIY clay mask will help you restore the balance of your skin and make you forget about the paper bag you’ve been wearing for the past few weeks/months or even years. Bentonite clay is that natural remedy that has the ability to eliminate toxins from the skin. It’s one of the most powerful cleansing and detoxifying clays there are! 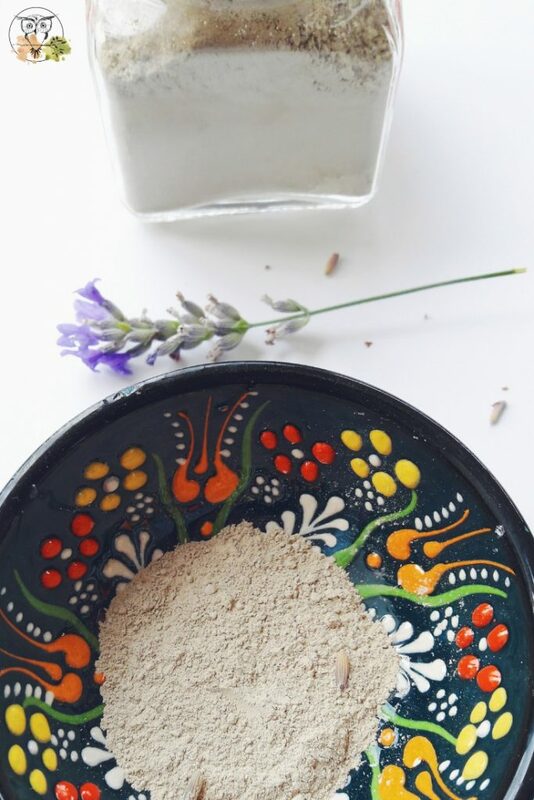 With regular use of the homemade bentonite clay face mask for acne, clay should improve the appearance and overall health of your skin, because when removing the mask, you also remove the toxins that clay pulled from your skin. I swear by clay, making it one of my all-time favorite natural and organic ingredients to use for my skincare or health (I know, I sound a bit repetitive now). What’s more, bentonite clay unclogs your pores and shrinks them at the same time. 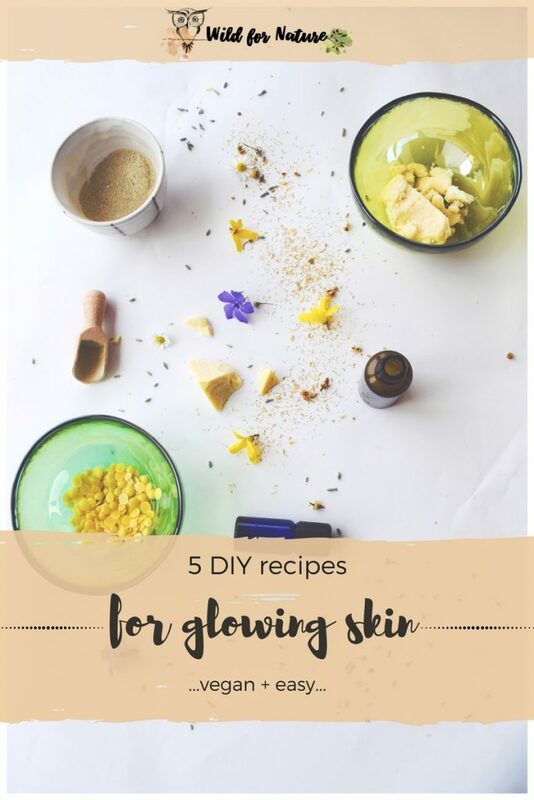 It can also control the sebum (excess oil) on your skin and what’s most important: clay is safe for all skin types (but also very drying, so don’t use it for dry and sensitive skin). The beauty of bentonite clay is that it gives an even tone to your skin and helps to reduce the appearance of scars. You’ll be able to see some results after the first face mask already (even the skin tone, boost circulation, give a healthy and radiant appearance to your skin), but it’s the regular use of the facial clay mask that will bring the actual change. Read more on bentonite clay tips here! I used to have a face mask with tea tree oil to fight my teenage acne. That was one of the best masks ever! That’s why I regularly add tea tree essential oil into my skincare routine for any inflammatory or acne-like problems I’ve faced. Tea tree essential oil is one of the natural and organic ingredients I cannot imagine my life without. It is anti-inflammatory, antibacterial, antiviral, antiseptic, antimicrobial. Its benefits cover a large range; acne, and skin health are just one of them. Because of tea tree oil’s powerful antioxidants, the oil itself improves the skin, reduces signs of scars and blemishes. It can even aid in reducing the appearance of wrinkles. 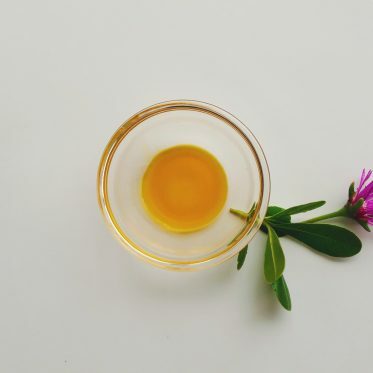 Primarily used in topical applications (this oil can be toxic if consumed internally), it eliminates the toxins, cleans the skin of all impurities, and minimizes the symptoms of acne (swollen pores). Lavender essential oil is one of the most popular natural and organic ingredients to treat acne. It is used in many commercial products as well as DIY cosmetics. Lavender in itself has calming effects. As an essential oil, it’s even more potent; it’s anti-inflammatory and boosts blood circulation. Apart from its antiseptic and antimicrobial properties, lavender oil has the power to detoxify the skin since it contains strong antioxidants that can prevent skin damage. The best part about it all is that lavender oil will not clog your pores but it will destroy the harmful bacteria on your skin instead, balance the sebum (excess oil on your skin), and can even reduce the signs of scarring (after the acne has begun to disappear together with this oil). And here it is: DIY bentonite clay face mask for acne! As you can see, it’s very easy to make this homemade bentonite face mask for acne; you only need 4 completely natural and organic ingredients (one of which is water anyway) and you can even drop out lavender essential oil if you have none (or replace it with lavender hydrosol). 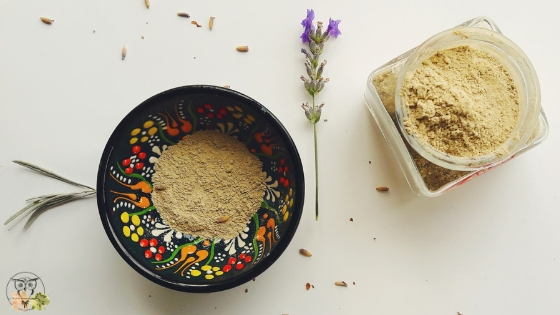 It should take 3 minutes to make this clay mask and another 15 to heal your pretty face! A quick note: don’t overdo the suggested 15 minutes to leave the bentonite mask on. It can be irritating and dry out your skin too much. Also, the mask might cause redness of your skin. It’s normal, this only means the magic of bentonite clay is working. Your acne situation may get worse before it gets better. That’s now bentonite works. Rinse with lukewarm water and enjoy your new face! 1. Clay should not come into contact with any metals. Use a wooden, a plastic, or a ceramic spoon and bowl when working with clay. 2. Since clay eliminates toxins out of the body, it may happen that your acne situation will get worse before it gets better. This is a normal procedure, just stick with it and in the long run, clay should aid in removing them. 3. You can always substitute hydrosol with distilled water. 4. 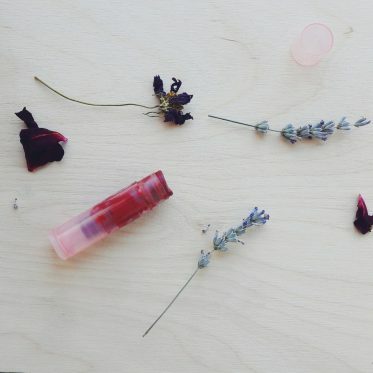 Make sure to test both lavender and tea tree essential oils for any allergies you might have. 5. Lavender EO has a strong smell; I added only 1 drop otherwise, it irritates my eyes while I keep the mask on my face. You can add one more drop if your eyes don’t mind lavender. Your other option is to use lavender hydrosol instead. It’s far more gentle when it comes to its powers and properties, but it is still effective (still, it doesn’t smell as the essential oil does- some find it horrible, I personally don’t mind, but it might take some time to get used to it)! 7. This mask is meant to be made and used right away, that’s why I only used 1 teaspoon of clay in the recipe. Since it doesn’t contain any preservatives, I wouldn’t recommend making this mask ahead and store it for more than a day or two. It’s easy and quick to make, so I suggest making it just before you use it! If you have an acne problem, using it 2 to 3 times a week should help you get rid of them with time. 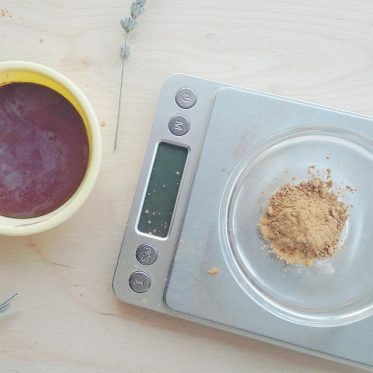 DIY clay masks seem to be the most popular posts on the blog! I’ve been getting some emails lately where you guys asked a few questions regarding the DIY bentonite clay face masks, so I decided to write it all out right here! Hope this will help you get a better idea of what bentonite clay mask can do for your acne, your face, and your skin. If you have any further questions, feel free to leave them in the comment section below! Yes, clay masks can help with acne. But all clays are different so it’s important to choose the right one for your skin type. If you have acne and oily skin, I recommend using bentonite clay, French green clay or Fuller’s Earth. Clay helps to absorb the toxins, the excess oils, dirt, and other impurities and, at the same time, control the shine and tone it down. You should be able to notice that right away after you rinse the mask. Your skin will look cleaner, more toned, and perhaps slightly red to the look and warm to the touch. That’s completely normal, the clay worked its magic (cleansing and boosting the circulation). What you need to know is while clay masks work for acne (it worked with mine and I’m forever grateful) the situation on your skin can get worse before it gets better. What does that mean? If you have a bit of oily skin, a zit now and again, and a few pimples, that doesn’t mean anything too serious. You face may feel warmer and seem redder, but that’s about it. Your skin will seem more evenly toned, cleansed, and radiant. On the other hand, if it’s a red-zit garden on your face, clay face mask may turn it into a series of purple volcanoes after a few days of using it (okay, I may be slightly exaggerating here). Again, this is normal. It means that it’s pulling the nasties out of your skin, cleansing it deeply and thoroughly. Those nasty volcanoes will disappear with time, leaving the skin healed, (more) evenly toned, and healthier. Absolutely, but in a very gentle way. Using clay in facial masks (even if it’s not the primary ingredient) can benefit your skin. White kaolin clay is a popular yet gentle exfoliator. 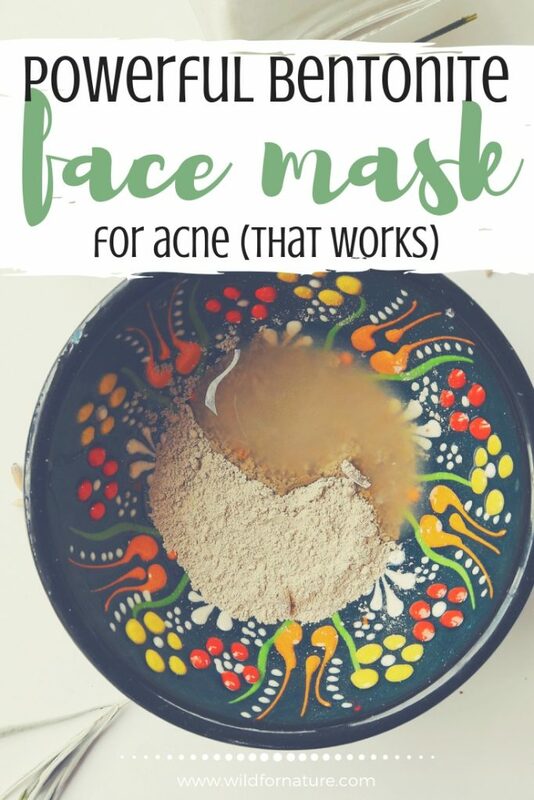 I use it in a number of masks, but this DIY natural clay mask here is one of my favorites lately! No matter the mask; whether you make your own homemade clay mask for acne, or buy it, always read the instructions. Bentonite is a very drying clay and with excessive use, you can do more damage than benefit to your skin. In general, I wouldn’t recommend using any bentonite clay face mask for more than 10 – 15 minutes. Aztec Healing clay recommends using the mask for 5-10 minutes for delicate skin, and 15-20 minutes for normal. I’d advise you to test and try. The clay mask will start drying on your face. When it’s dry, rinse it off. It might take 5 minutes, 10, or even 15! I used bentonite clay mask for acne (and specifically for acne) every second day. 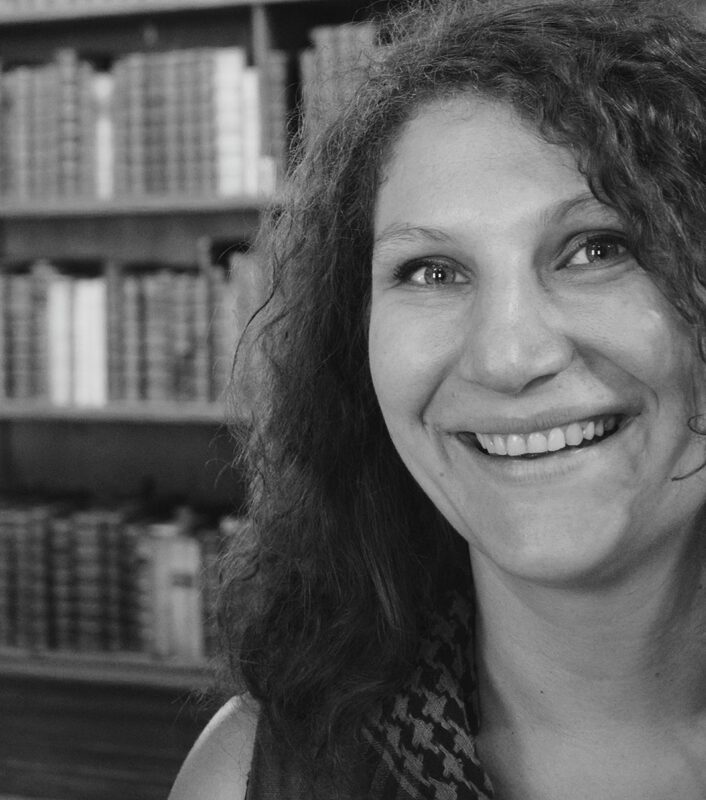 My face was in bloom on the forehead, around the nose, and on my chin. But the problem wasn’t too bad. So I’d normally apply on Monday, Wednesday, and Friday, and then take two days off. Now, I use clay masks twice a week. Sometimes even once, depending on how much time I have to spare. In any case, I wouldn’t recommend you put the mask on every day, especially not bentonite. Absolutely. 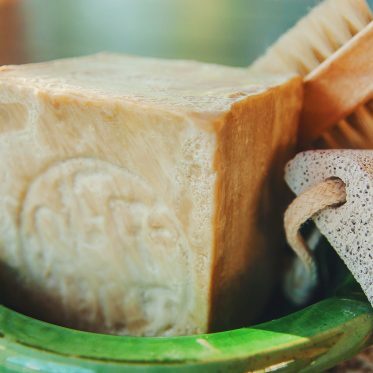 Just because I mostly talk about bentonite clay for oily skin, that doesn’t mean you shouldn’t benefit from gorgeous natural ingredient as well! There are a number of different clays available on the market and if you’re making your own face mask, you can experiment as much as you want! The thing to keep in mind is that some clays are more drying than the others. You can add any type of liquid to the mask, my top choices definitely include rose or lavender hydrosol! They add a kick of hydration and gently nourish and tone the skin at the same time. What is your favorite bentonite clay face mask for acne? How does it work for you? Let me know! Thank you, looks like a great remedy. Can you store this or do you need to use this as soon as it’s made. Hey Missy, this facial mask should be used when you make it. It doesn’t contain any preservatives so it’s a make-now-use-now kind of thing. You could store it until the next day in the fridge, but I wouldn’t recommend anything longer than that. Hope this helps! Does this need to be used right away or can you make a batch to use as needed? Hello Mary! This mask contains water so I’d suggest you make a small batch and use it right away. In case you make a bit too much, you can store it in the fridge for another day or two, but no more than that. Hope this helps!